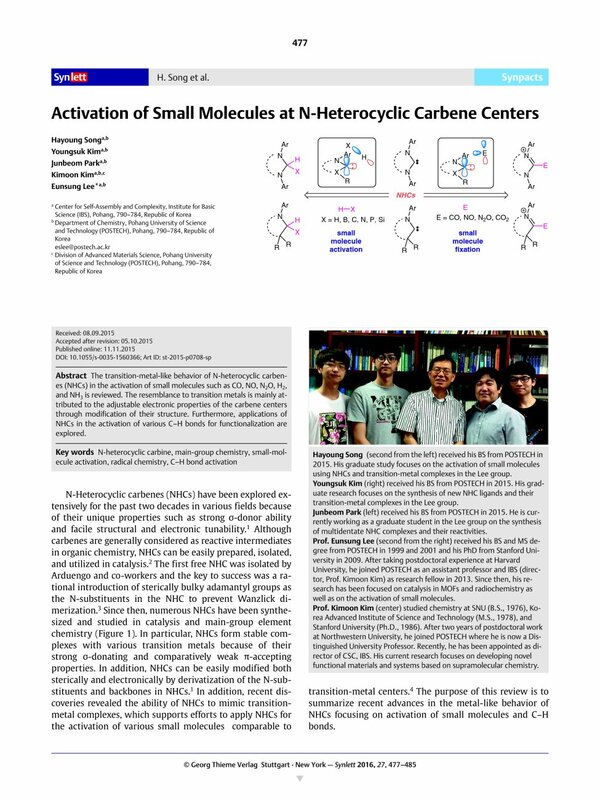 The transition-metal-like behavior of N-heterocyclic carbenes (NHCs) in the activation of small molecules such as CO, NO, N2O, H2, and NH3 is reviewed. The resemblance to transition metals is mainly attributed to the adjustable electronic properties of the carbene centers through modification of their structure. Furthermore, applications of NHCs in the activation of various C–H bonds for functionalization are explored.